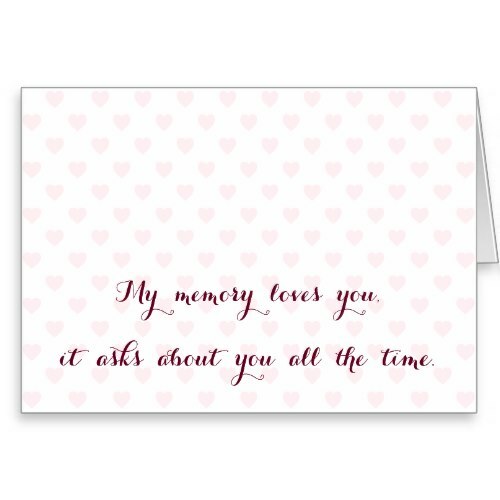 Lovely, elegant, sweet, missing you card..
A beautiful, lovely, elegant, romantic, sweet, simple, classic, custom missing you card, that you may personalize with your note / message / greetings, printed on the inside. A lovely card for your girlfriend, boyfriend, wife, husband, life partner, couples in a long distance relationship, men and women in uniform posted away from the family - in forward areas, on the border, in foreign lands. Makes a sweet mail on birthday, anniversary, valentines day, christmas, holidays, or any regular day.